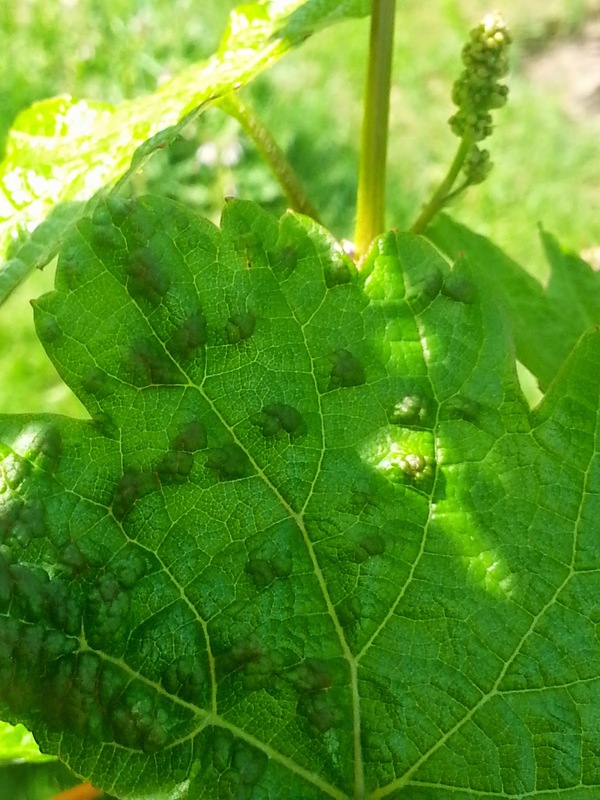 Powdery Mildew or Blister Mites? It's that time of year when I start seeing the bumps on my grape leaves. I had been told it was powdery mildew, then today I'm reading that it is caused by Blister leaf Mites. I don't want to spray chemicals on my vines. I've heard of other controls, milk spray, horsetail spray. Or if it is mites maybe ladybugs or an oil spray. Check out the recipes. I will continue looking into this.